My husband and I recently had dinner with two new friends, they are both about 10 years younger than myself. Creative types, one’s an actress, the other a writer, both “involved” in the world. Far from “kids”, these two are squarely in the adult realm of their 20’s; still their views on troubling topics like education, health care, the fiscal impasse all had a ring of hope to them. I suppose I attribute hope to youth….not in a naive way, more like a “young at heart” sentiment. This hope says you still have the courage to face down our world’s conundrums and happily go in search of the ways you can make a positive difference you believe in. It got me thinking about some other cool kids, the ones that started and work on Kinfolk. It’s an online (and print) publication, but far from your typical magazine. I’m not sure anything is even for sale in their pages, you don’t find oodles of recipes, it’s more like a cookbook for a life well lived. 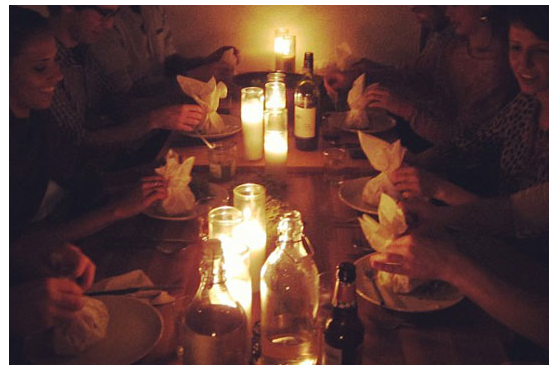 Sharing meals with good people, short stories on baking bread, poetry about chicks hatching in a well loved coop. Basically it’s a lot about what life was like a hundred or so years ago, accept now we long to embrace the simplicity rather than run from it. The videos are also super cool. Happy Friday.